How do I develop clairaudience? Oh, such a great question! 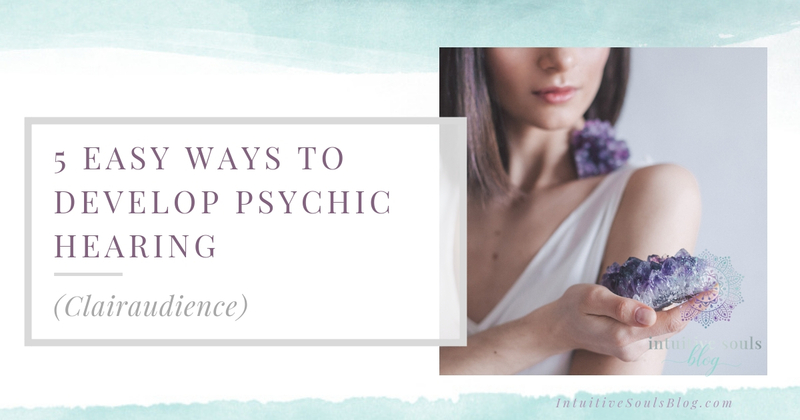 If you’re going through a psychic awakening, you may be feeling overwhelmed and wondering where to start. My advice is always to start with the gifts that are strongest. BUT if you don’t know which those are, no worries! 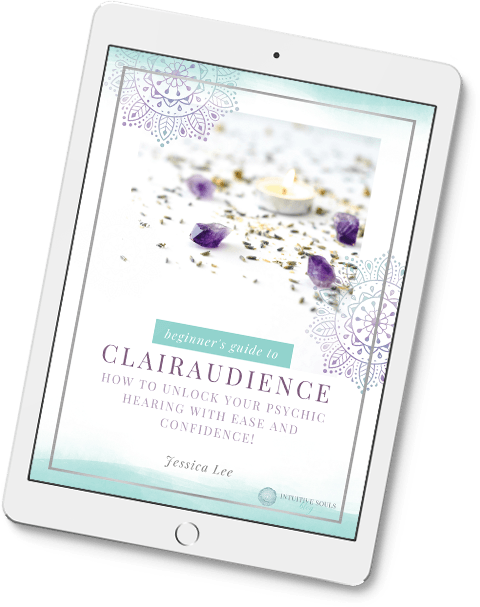 Start by developing your clairaudience – your psychic hearing or clear hearing. It’s the easiest intuitive gift to develop. Stop for a second and think about a radio. When you turn it on, the stations are already there. You simply have to “tune in” to hear what they have to offer clearly. Psychic hearing is similar, but the messages are more subtle than those you receive with your normal hearing. At the end of the day though, it really is as simple as tuning that radio dial, but the “radio” is you. My cousin just had a baby. She’s ADORABLE, but when she cries, I have no idea what she is crying for. Is it a poopie cry? A hungry cry? I dunno! To me, it all sounds the same. Yet my cousin has “tuned” herself into the baby to understand exactly WHAT each cry means. It’s like she and the baby have their own secret language! Developing clairaudience is the same – it’s just a matter of learning how to “tune” into and understand it. We live in a noisy world (who else has a spouse that blasts the TV at number 60 volume to watch Sunday football?! ), and we automatically filter out noise. But we can use this noise (and our noisy spouses) to our advantage! The easiest way to start developing clairaudience is to practice sensitizing your hearing. If it is safe to do so, close your eyes and take a few deep breaths. Relax your body and let hearing be your dominant sense. Gently tune into sounds that you don’t normally focus on. What can you hear? Try this exercise in several locations and let yourself loose to see just how much you can hear. Stretch yourself and try your psychic hearing in different directions and with different focus. If you’ve been wondering to yourself “How can I develop my psychic hearing and rock out to Dave Matthews at the same time?” then I’ve got the perfect exercise for you! It’s a lot of fun to do this exercise with Dave Matthews songs or any other band that has heavy instrumentals. It’s also EXCELLENT to use classical pieces of music for this exercise (Prokofiev’s Peter and the Wolf is a fantastic choice). Get your jam on. Now focus your attention on just one instrument – oboe, violin, drum. They are all playing simultaneously in harmony, but focus on just ONE of them until you have isolated its sound from all the rest. With practice, you can cut one sound away from all the rest. Did you get it? Okay now choose another instrument and give it another go. Can you sit in a room that is silent and imagine music playing in your mind? Way back “in the day” when I was practicing how to develop clairaudience, I did this every day. It worked wonderfully! Stretch yourself beyond music, too. What other sounds can you imagine? How about the sound of your brother playing his recorder in third grade? Mom, he keeps playing that stupid thing! Did your father use a table saw? Listen to it. Did your grandmother sew so well she could have been a contestant on Project Runway? Listen to the whirring of her sewing machine. How about going back to your favorite concert and “re-listening” to your favorite song? Why this Works: Raises your vibration which is necessary in order to do intuitive or mediumship work. How do I develop clairaudience? Meditate! First, don’t beat yourself up. A key function of our minds is to think, so of course we can’t just switch it off. Just like all of these exercises, it takes practice. Take some pressure off. Just give your mind permission to rest and “float” for a while to declutter. Take 5 – 10 minutes and breathe. Let the thoughts come into your mind and then just float away in a cloud. Do some imagining. 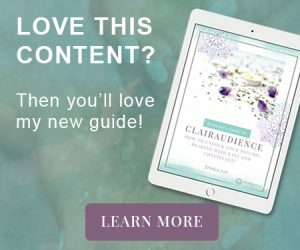 Imagine how wonderful it will be when you’ve finally developed your clairaudience! If you truly dread the idea of meditation, go for a walk in nature and just let your mind wander. Activities that relax you, such as a leisurely walk, painting, etc. are all forms of meditation. Why this works: Trains you to have a two-way communication with Spirit, and makes you more confident in your clairaudient abilities. You may be saying, this is all great, but how do I develop clairaudience now? How will I know when this gift is developed? Practice asking questions and receiving information from Spirit. In this context, we refer to Spirit as your Spirit guides, Ascended Masters, loved ones in heaven, and even your Higher Self. So, if you have a decision to make, ask Spirit for guidance. Then, listen for an answer. It may come in the form of a song, a letter in the mail, something a stranger says to you. It may come in an “answer” that just “pops” into your head seemingly out of nowhere. Example: You just left your in-laws house. Your pushy father-in-law’s says you should absolutely NOT allow your 13 year old to Snapchat. But Mom, all my friends are on it … Pleeeeeease!! You get in the car and Sarah Bareillis’ Who Made You King of Anything is on the radio. ‘Nuff said. Practicing having a two-way communication with Spirit is going to help you a LOT, especially if you are working on your mediumship gifts. It’s also going to continue to train you to detect the subtlety of Spirit. The MOST important thing with all of this is just to relax and have fun with ALL of these exericses. Thank you for sharing your experiences about psychic abilities! I’ve learnt a lot from your writings. Hey! I can totally relate to your article!! I used to have strong clairaudience as a child but shut it out years ago because of a man’s voice angrily yelling at me on a fairly regular basis. I would like to hone this gift again, but am a bit concerned…as you can imagine! Any advice?